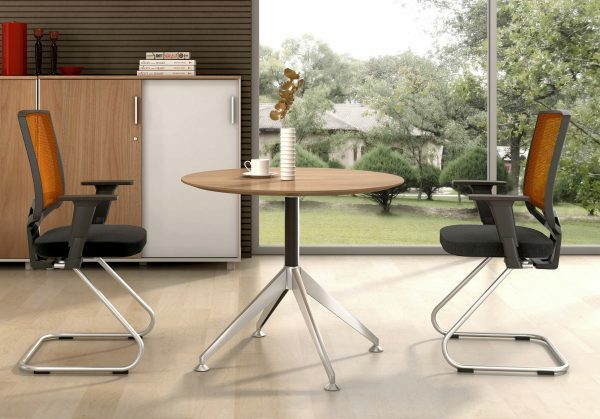 The Sharp Series Round conference table features a dynamic modern design that is both functional and elegant. This medium sized conference table can seat up to four people and has a durable commercial laminate finish. Sizes indicated are in millimetres. Call 0298994359 for more information.